We Will Not Vote! It Is Right To Rebel! Tomorrow marks the commemoration of the infamous Columbus voyage to what would later come to be called the Americas. A day to commemorate the genocidal foundations of this country and marked as a “discovery”. The night before in our state of Missouri, only a few miles away from the most important rebellion of Black people in modern history, two of the most hated people in the country shall “debate” one another seeking to convince the masses of people why a vote for the other one would bring about disastrous results for the majority of people of this country. In the right corner we have the despicable, pompous, unapologetically racist fascist thug Donald Trump. Not too far from where he is sitting we have the equally pompous, despicable and Machiavellian veteran politician Hillary Clinton. 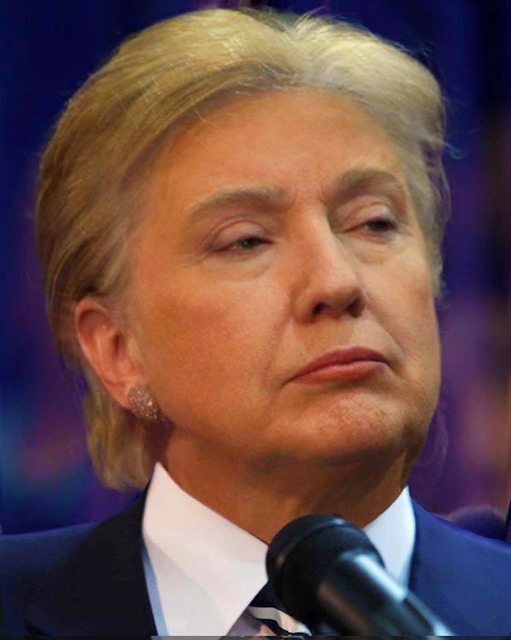 There is more commonality between Clinton and Trump than there is between you and either one of them. With less than 31 days until the November elections it is all but guaranteed that Hillary Clinton will become President of the United States should Donald Trump issue a poor performance in this debate. Not simply out of merit, but simply because Donald Trump has proven himself to be erratic and brazenly incompetent for the majority of the right wing section of the bourgeoisie that has opposed his ascendancy to the Republican Party ticket from the beginning. We however see no real sharp difference between the open racism, misogyny and anti-worker stances of Donald Trump and the Machiavellian and constantly shifting but also politically damaging positions of Hillary Clinton which have harmed Black people, Latinos and working people. What we see now is the consistent discrediting of the sham bourgeois electoral process is being more and more plain to see where the choices are between a fascist clown and someone who manipulated their way to become the Democratic Party’s nominee, someone who has said in private that politicians must have “public and private positions” on controversial issues. It is the latter person in which so-called “progressives” are touting as our great white knight. In this election there is no such thing as the “lesser evil” and there never has been one. For far too long the opportunists have sought to convince left critics of electoralism and reached for fostering false dilemma consistently every four years. Each batch of politicians is consistently “worse” than the other half, and apparently this election cycle there is “too much to risk”. Rinse and Repeat. The opportunists consistently throw out words like “tactics” and “strategy” to lend some sinew of credibility to their bankrupt positions, theirs is a “strategy” with no plan to mobilize the masses to build a movement for the long term, a movement to combat the growing trend of fascism we are seeing in this country and around the world. Rather what “strategy” is meant here is to get people to vote, usually for center-right Democrat Politicians. These dogmato-opportunists do not have the slightest understanding of strategy in any political sense to talk about it. For all their talks of “strategic voting” we see no plan of action published or expressed verbally in how they intend to utilize Clinton to achieve their goals rather than the other way around. We do not see them seeking to engage people in real political discussions or going beyond the current narrative that restricts us to “lesser evil” “take it or leave it” myopia. 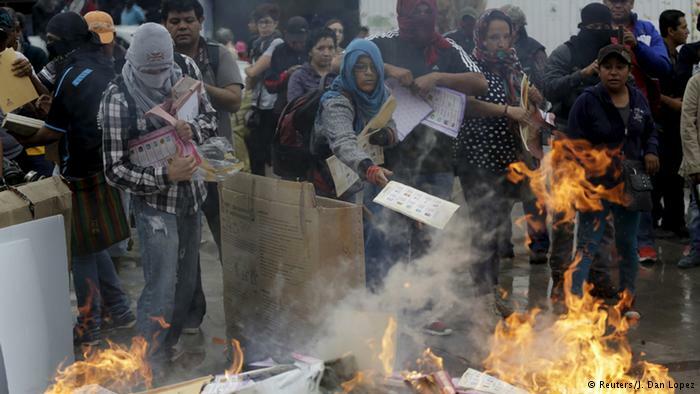 Mexican activists burning their ballots. In the oppressed nations it is generally understood that “democracy” is a sham, that no matter who they vote for, the masses remain oppressed. No matter who becomes the Pig in Chief, Progressive Youth Organization, Kansas City will continue to organize students and working class youth along revolutionary and truly progressive lines. We will not be participating in legitimizing the bourgeois electoral process by actively refraining from voter registration drives as we see those as complete wastes of our time, that could better be used in actually serving our communities. We will not tarnish the good name of our organization, one of the few truly anti-imperialist and anti-racist organizations in the city, by helping candidates who have done so much harm to immigrants, Black people, Muslims and other oppressed people. We will actively engage, combat and thwart any efforts of local reactionaries and opportunists to undermine our principles and to scare the masses with tired scare tactics. 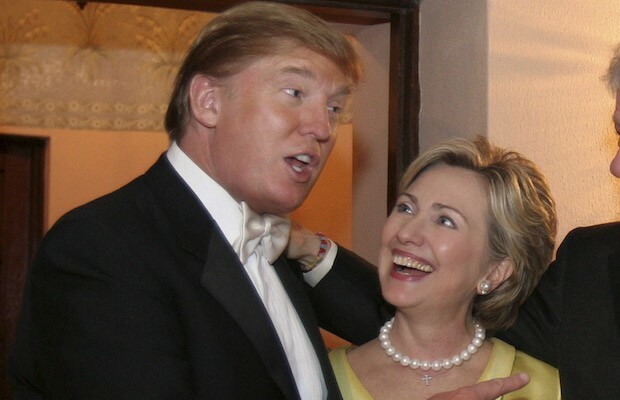 To those whom genuinely seek to ask us what our alternative is our answer is that Trumps and Clintons come and go but it is the people that remain. 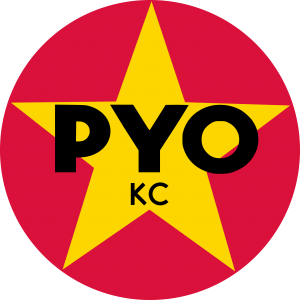 As such, the orientation of PYO-KC has always been to orient ourselves towards the masses, and seeking through class struggle harness their unlimited power. We seek to strengthen our statewide campaign to combat attacks on immigrant students, tuition hikes at the University of Missouri-Kansas City, and help found different PYOs across the country to build a revolutionary and progressive coalition of students and working class youth to fight for real social change on the frontlines. We do not see our freedom ever coming from the power of a ballot box. 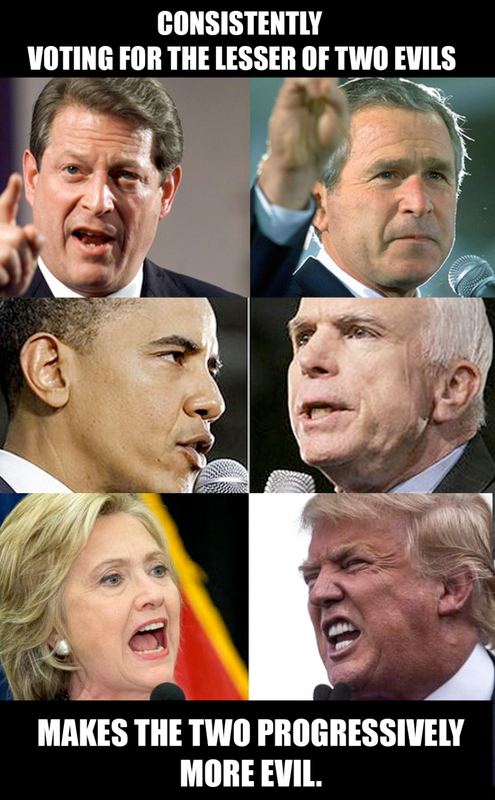 Whomever becomes elected to become the next president will remain our enemy just as they were before, we will struggle regardless of a victory for Hillary or Trump. We are not “With Her” nor do we want to “Make America Great Again”. It is right to rebel against reactionaries! Unite with real friends to fight real enemies. Neither Trump nor Clinton! It Is Right To Rebel! Previous Post Dare To Struggle and We Won! UMKC Tuition Hike Defeated!